We’re all familiar with the pain that rubbing shoes brings us, whether it’s caused from our feet swelling in the heat or not breaking in a pair of new shoes. It can be incredibly uncomfortable, often painful, and disruptive to our daily lives — as well as difficult to combat. So, we’ve rounded up some the best tips and tricks to help you to stop your shoes from rubbing. Whether you’re an avid shoe shopper or you only go as and when you need to, it can be still be difficult to know how shoes should fit. But, because footwear protects, supports and provides comfort for our feet — it’s key that you get it right every time. Not only will ill-fitting shoes cause discomfort and cause injury, but they can also cause longer-term foot problems like bunions, stress fractures and hammertoes, which can impact your walking quality, balance and understandably, your confidence — read more about these in our guide to treating foot problems. Your feet are considered ‘fully grown’ when they’ve developed all 26 foot bones. This happens for girls at around 14 years old, while it’s 16 for boys. And, the growth plates in the feet finally close around 18–20 years old. However, your feet will still change size throughout adulthood, so it’s important to keep track of this. No matter how old you are, next time you go shopping, get your feet measured. As a top tip, we recommend getting your feet measured at the end of your shopping trip when they may have expanded. This will ensure the shoes you choose will be comfortable both when you leave the house and when you get back. Most people have one foot that’s larger than the other, so it can get a bit confusing to know what to do: shoes that are too big can cause problems, as can ones that are too small. If the shoe fitter finds that one of your feet is slightly larger than the other, be aware that you should always be choosing a pair of shoes that fit the larger foot size as you can use an insole to take up the spare room for the smaller foot, but you can’t create more space if the shoe is too small for you. Because fashion moves quickly, it can be tempting to try even the most uncomfortable-looking styles to stay on-trend. But, a good starting point when browsing this kind of footwear is to look at the shape. As a general tip, the ball of your feet (as the widest part before your toes) should look — and feel — like it’ll comfortably fit the widest part of the shoe. We have options to shop by fitting, including narrow, standard, wide fits, so there’s no excuse to not find a pair perfect for your feet. With busy lives and even busier shops, many people can be tempted to just select a pair of shoes they think will fit them based on their previous measurement or pair of shoes. However, this can mean you end up bringing the shoes back as different brands have different sizing and fits. So, be sure to try on each pair before you purchase them. As well as fitting the widest part of your foot, the shoe should also have enough space to fit your toes as too small of a toe box can cause pain through issues such as calluses, sores and bunions. A common assumption is that you can buy shoes with ‘stretch’ in them. 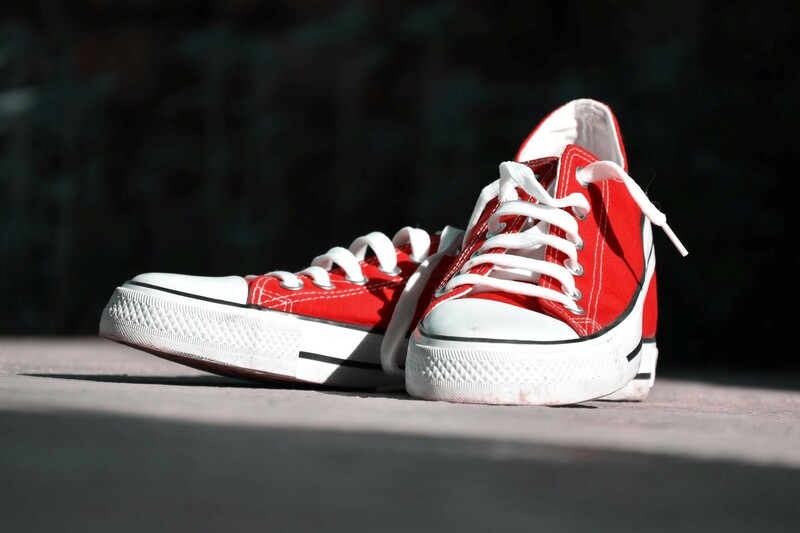 While some materials, such as real and synthetic leather, canvas and neoprene are typically stretchy, you should never buy shoes with your future comfort in mind. Instead, the shoes should fit well at the point of purchase, so you don’t have to experience discomfort and rubbing and risk causing longer-term issues with your feet. When you’re shopping for shoes to wear when doing a particular activity, be sure to select the right type. For instance, if you want to go jogging, specialised running shoes will provide more cushioning and ankle support than general trainers, helping you to avoid injury. In these cases, it’s best going to specialist shops or expert shoe fitters who will be able to assess your needs and recommend the most suitable pair and fit for you. Although finding proper fitting shoes is crucial, sometimes the comfiest shoes can rub. This can be caused by many things: your shoes are too small, too narrow, too big or your feet are too hot, to name a few. New shoes · Probably the most common cause of blisters and rubbing. 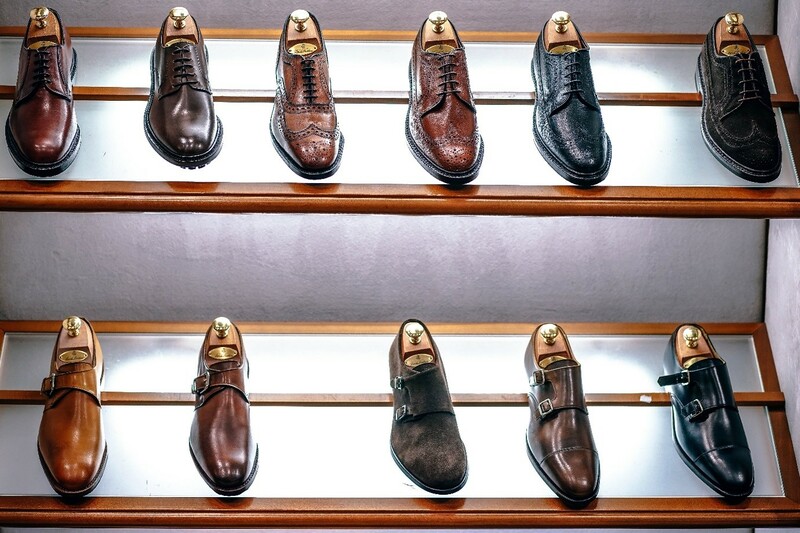 · Even when you’ve had your feet expertly measured and picked the right fit, new shoes can take some getting used to. Small shoes · These will squeeze or crush your feet and cause a lot of discomfort. · This can cause rubbing on both the sides and heels of your feet. · This can cause blackened, or total loss, of toenails. Large shoes · Shoes that allow your feet to slide back and forth pose more opportunity for blister-causing friction. · These can also cause blackened toenails. Rough insole edges · Insoles are designed to provide more comfort and a better fit for shoes. And, all shoes will come with some form of insole inside. · Rough edges or seams on these insoles can cause irritation and rubbing on your feet or toes. We stock a range of leather insoles and half-insoles that you can fit to perfection. Heat · When the weather is hot, the excess body heat you generate can make your blood vessels expand, letting fluid into surrounding tissues — most commonly, the feet, ankles and lower legs. · Hot weather can make you drink more, and these large volumes of fluid are retained by your body and dispersed around. · The expansion in foot size causes rubbing as your foot comes into contact with the material. · Excess water in your shoes is one of the biggest causes of rubbing and blister development. · This is because wet skin is softer and more vulnerable, so the top layer is more likely to be pulled away from the lower ones. · Water will also dampen socks, which can cause more friction and worsen the rubbing. All materials, sizes and styles of shoes can rub so knowing how to combat this is important. Here, we’ll be sharing some of our top tips and tricks to help you find comfort when your favourite shoes (old or new!) are causing you pain. Genuine leather shoes have many great qualities, such as having a rich and timeless look, and great durability. However, a fresh pair of leather shoes can sometimes feel inflexible and hard, particularly around the heels and toe cap, despite getting the perfect fit. So, whether you’re regularly sporting some smart leather shoes for work, or you’ve bought a new pair of leather occasion shoes, knowing how to soften leather shoes will come in handy. Clean and condition them: In general, you should choose a leather that’s naturally soft to start with, like unfinished rather than treated leather. You should take the time to look after your leather adequately through frequent cleaning and care, not only to increase the longevity, but also to soften the material and make it more pliable — we have a guide for looking after your leather to ensure your favourite pair last. For waxy, smooth and napped leathers, we recommend using one of our waxed leather creams and waxed leather protector to keep the shoes feeling soft, supple and looking great. Wear them in: Before you set out showcasing your new shoes, be sure to wear them around the house for a couple of hours to loosen the leather up. It’s a good idea to do this with socks on, as it’ll provide you with some additional space if you choose to wear them with bare feet in the future. Canvas is a popular shoe material choice due to the typically soft uppers and easy-clean nature. However, they can sometimes rub against your feet, particularly as people tend to slip them on bare foot as a breathable summer shoe option. But, even the most flexible of fabrics have potential to rub your feet if the necessary precautions aren’t taken. Relax the material: Although canvas tends to be a soft and flexible material, sometimes new canvas shoes can feel a little hard on your feet. Prepare them for movement by gently bending them back and forth and wiggling them from side to side. Just be sure not to bend them too fast or hard as this can cause creases in the shoe. You can also do this by putting the shoes on, standing in place and repeatedly leaning onto your toes and then your heels to loosen up the material. Re-lace them: If your canvas shoes have laces, try undoing the laces completely and then re-lacing them for a more comfortable fit. You could even ask the fitter in the store to do this for you if you’re not sure how to. This is also a great opportunity to switch up the look of your shoes and put in some different laces. We stock designs such as waxed laces or coloured boot laces so you can add some definition to your favourite pair. Try a shoe stretcher: It can be disappointing to discover that the new pair of shoes that fit so well in store, rub your feet when you wear them out. If your shoes are the right size but the material feels a little stiff, you can use a shoe stretcher to stretch them out and stop them A quality stretcher can adjust the width of your shoes, so will also work well for stretching out stiff leather shoes. It’s notoriously difficult to keep suede shoes clean, especially when in lighter hues, so be sure to keep your shoes looking spick and span all-year-round with a suede protector and nubuck block. For more information, you should check out our guide to keeping suede shoes clean for the ultimate tips and tricks. Stuff them: Rubber shoes can become misshapen if not cared for properly, so when you’re not wearing them, it’s a good idea to stuff them with old newspaper or use a boot shaper. This will ensure they keep their shape and don’t feel too tight or loose next time you wear them. 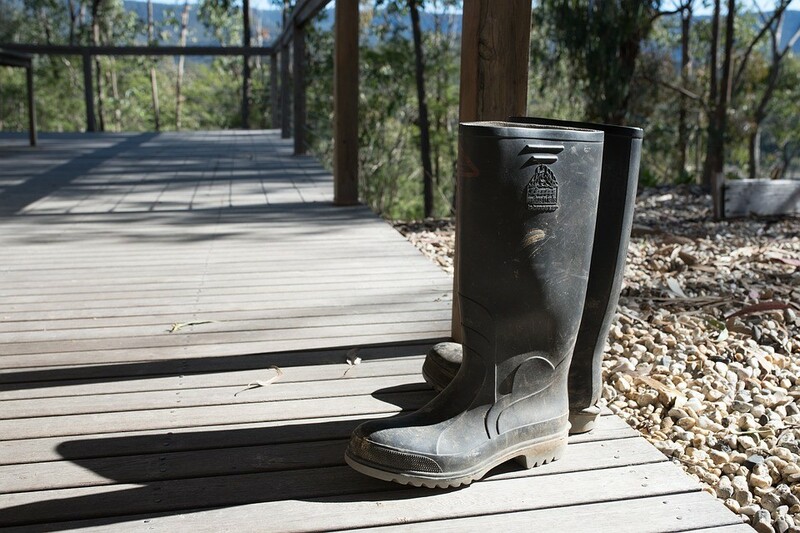 If you’re doing this for wellies, it’ll also keep the tops upright and will prevent against a dented area occurring around the ankle. Wear thick socks: Socks should never be the main solution to rubbing shoes, as this indicates your shoes need stretching, so don’t fit. However, rubber shoes can cause friction when they become wet, so thick socks will protect the wet (and now sensitive) skin on your feet from being rubbed. Rubbing shoes can be a real pain and none of us should have to deal with it. In most cases, this is caused by ill-fitting footwear so getting the perfect fit is crucial for any pair of shoes. However, there are some other circumstances where your footwear can rub you despite getting your feet measured. 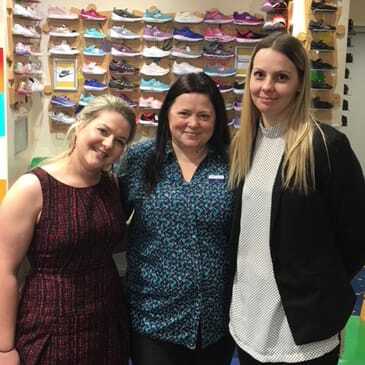 So, if you’re looking for the best tips and tricks to battle blisters and remove rubbing, come and visit one of our stores for expert fits and great advice. Alternatively, you can shop with us online and receive free UK delivery on all orders — including sale items! You can also visit our blog for the latest Charles Clinkard news, shoe care advice, competitions and more.